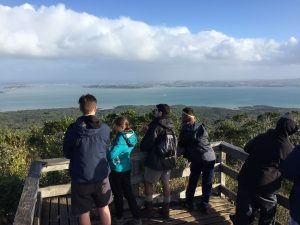 Although they battled the elements at times, 19 students and 3 teachers had an incredible time during their overnight camp on Rangitoto and Motutapu. 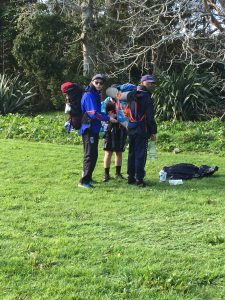 Pitching their tents at picturesque Home Bay, these Year 13 students completed their last PE achievement standard focusing on safety in the outdoors. 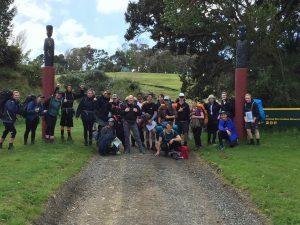 This included fantastic team work which helped them navigate their routes, climb through lava caves and summit Rangitoto. 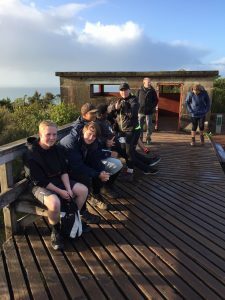 They even got a change to see rare New Zealand bird life, including a Kiwi! Thanks to Mr Beeston, Mr McKearney and Ms Humphreys for accompanying our students on this once in a lifetime experience.